We probably don’t have to tell you this, but Handcrafters are a very unique group of people! 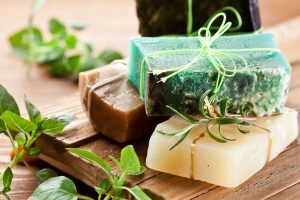 When you speak to someone who makes handcrafted soap and/or cosmetics, you are talking to a creative mind that is a blend between science, art and a desire to make products that genuinely make the consumer feel good. While some Handcrafters achieve a great level of success, it is important to remember that everyone has to start somewhere. If you are standing on the precipice of beginning your own business but aren’t sure whether you are ready to take the leap, keep reading! Before you begin to sell your product, it’s a good idea to make a number of test batches to use on your own or give to a small group of family members or close friends. Give yourself some time to perfect your recipe and be patient; sometimes, finding the recipe that will set you apart might be hiding behind a few recipes that weren’t quite right. Nailing down a recipe that you love can be frustrating, and formulation can be difficult when you are first starting out. Make sure to check out the resources at the bottom of this article to help you along your way! Once you have honed in on a recipe, it’s time to set your sights on a reasonable product line. To do this, it is a good idea to do a little research about what scents are the most popular and mix in a few of your own creations. Al though making a simply lavender scented soap or lotion can seem too basic when you are trying to make ripples in the big handcrafter pond, these are products that customers love. Be creative with your colorants and additives, and those basic tried-and-true scents will fly off the shelves. Making products to sell versus making products as a hobby means that your production capabilities will need to expand. Buying or making additional molds, investing in quality immersion blenders, bulk colorants and scents, purchasing drying racks and bulk packaging are all considerations that you should figure into your startup costs. Although there are many things that you can purchase and upgrade as you go, it is important to have the basics purchased and ready to use as needed. The uncertainty of starting your own business might tempt you to buy lower quality equipment in the beginning, but investing in high quality supplies from the start will help you turn out the kind of high quality products that your customers will love. 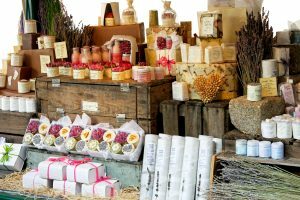 You’ve likely gone to a farmer’s market or craft fair and seen handmade products for sale, and if you are trying to get into the same venues it can be appealing to set your prices lower so that customers will be drawn to your table. Be very careful doing this! Do not undersell your own time and investment for the sole reason of beating your competition’s pricing. This is a dangerous way to potentially sink your business before it has a chance to swim; instead of focusing on the prices of other Handcrafters, focus on making a quality product that is truly worth whatever price you choose to charge. You can do this by using reputable suppliers for your ingredients, making sure to follow good manufacturing practices, and providing education about your products; nothing beats good customer service. Following proper labeling regulations, federal and state guidelines is absolutely crucial to building a reputable and legal business. The last thing you need as a hard-working entrepreneur is to run into legal issues because of improperly labeled or misrepresented products! Luckily, there are resources available to help you understand labeling guidelines. The HSCG offers an article in our How-To Library written by labeling and good manufacturing practice pro Marie Gale; Marie also has a treasure trove of useful information on her own site-make sure to check out the links at the end of this article for more information. Let’s touch on branding for a moment. What will make your business recognizable? What visually will set you products apart? Having complimentary packaging and a relatively easy to spell and pronounce brand name will make your products stand out before your customer ever lays a hand on them. Stick to easy to read fonts, make sure that everything is spelled correctly on your signage and labels, and use only high quality images for any artwork you’ll be displaying on both. There is immeasurable value in a cohesive label and brand! There are different options for insurance, but whether you choose to be protected by the HSCG’s policy or a different company, make sure you are protected. This is so very important! Carrying insurance means the difference between losing everything to a lawsuit, or bouncing back. Peace of mind is invaluable, to both you and your customers. At the HSCG, we offer insurance coverage for every budget and business level through Veracity Insurance Solutions (U. S) or Steer Insurance (Canada). This insurance will cover you in a wide variety of circumstances. For example, say you are set up at a craft fair and the place is crowded! You’ve got a fantastic new tablecloth on your table and your setup is beautiful. Along comes a customer, peering in to take a look at your amazing products when suddenly, her shoe catches on your tablecloth and she trips right into your display. Now, she wants to sue you because your tablecloth was a tripping hazard. At this particular moment, it doesn’t matter whether she is right or wrong; all that matters is the insurance policy you bought or decided you didn’t need because your business was not big enough, or you only planned to sell at a handful of craft fairs during the year. It only takes one moment to bring down a business; do not let the size of your operation or the frequency of your sales dissuade you from purchasing a policy that could protect you from disastrous legal consequences later on. Specifically in regards to the HSCG, insurance comes at a significant discount if you are a current member. Memberships start at $140.00 per year and have many, many benefits! Supplier discounts, shipping discounts, optional personal insurance and an annual conference that is the biggest and most vibrant of it’s kind are only a handful of the fantastic benefits at your fingertips with a membership. Joining the HSCG community gives you resources beyond discounts; the ability to network with fellow Handcrafters via our Member’s Only Facebook Discussion Group is a great way to keep up with industry trends and get real-world advice from those with the same passion as you. First and foremost, do not expect that you will turn a profit immediately. Starting a business with the expectation of immediately making money will lead you to disappointment. Start your business because you truly love your craft and as cliché as it may sound, the money will follow. Passion and genuine creativity are like the frosting on a quality cake; it is the first thing people will see when they look at and use your products, and it will be the first thing they remember when they decide to buy your products again. Starting a handmade business is a challenge, but there are many resources available to help you through each step. It is normal to feel overwhelmed, but stay the course. Hard work and determination will help you make a standout product and build your entrepreneurial empire.